Live, on The Ed Sullivan Show, The Beatles put down their markers to two very different groups: kids and adults. In the intimate medium of live television, young fans at home could also see and share the uninhibited ecstasy of the screaming teens there at the theater, members in the already growing Beatles fan club. 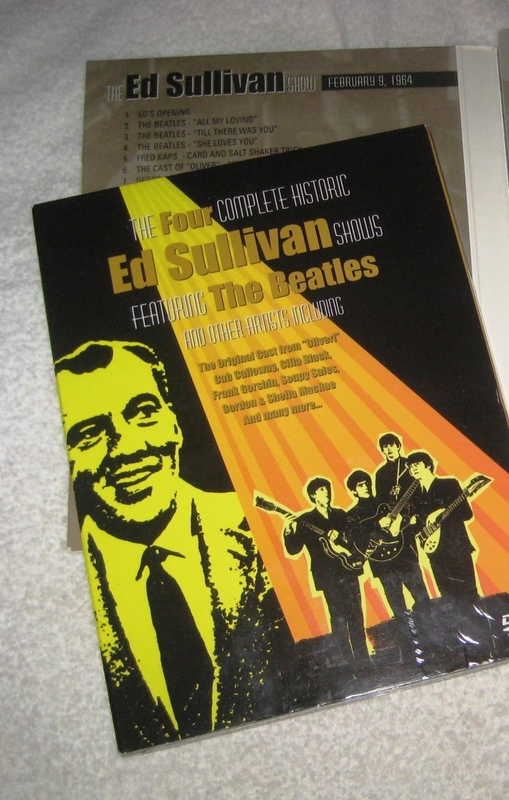 Most important for the older generation, The Beatles were given the stamp of approval by Ed Sullivan, the respected host to family fare since the beginning of television. The medium itself was now in its rambunctious teen years, but Sullivan could still be counted on to introduce these new kids with welcoming reassurance. Sullivan would reinforce that image again, and again, over the next two weeks, as The Beatles turned the month of February 1964 into their extended “hello” via the living room TV screens throughout the U.S.
Appropriately, later in 1964, the hook of A Hard Day’s Night, their first feature film, was to follow the fictional tale of the group’s appearance on a television variety program, from rehearsals to their final bow. An implicit nod to an unforgettable debut. This entry was posted in Beatles, Media, Television and tagged Ed Sullivan, The Beatles. Bookmark the permalink.